At More Space Place, we know shoes hold a special place in both your heart and closet. No matter what your age or gender is, people collect shoes for every occasion, and it’s fun to shop for the perfect pair for every outfit! It’s likely you have more than a few pairs, and you might be all too familiar with them taking over your floor or overcrowding your shoe rack. If this is the case, our design experts at More Space Place can help you customize your closet with optimal shoe storage in mind. Whether you collect the hottest brands of sneakers or have that pair of heels in every color, sometimes a shoe collection can be massive. So, why not dedicate an entire wall to them? If your closet has space to spare, it can look stunning to openly and proudly display your shoes on their very own wall with custom shelving. You can admire their volume and style from afar while you craft your next outfit. If you don’t have room for a shoe wall, don’t worry. 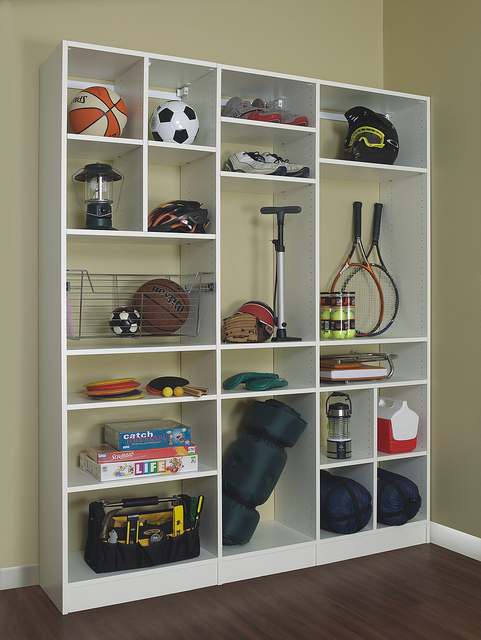 A couple of shelves or cubbies within your closet are just as effective. 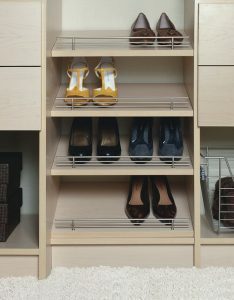 Shelves will not only make your life a bit more organized but will protect your shoes and help them last longer. Your shoes will be visible, easy to access, and efficiently organized compared to a pile on the floor. Plus, when you free up more floor space, you have more room for other fun custom closet elements! Sometimes the flimsy shoe racks from a local home improvement store won’t last or provide the shoe storage you need. With a custom closet from More Space Place, we can help you craft your very own sturdy, dependable shoe rack, which will cohesively fit with the other elements in your closet. We know there are some pairs you adore and want to keep for a lifetime – a shoe rack will always keep them in reach and protected! Luckily, there are just as many creative shoe storage options out there as the number of shoes you might have. 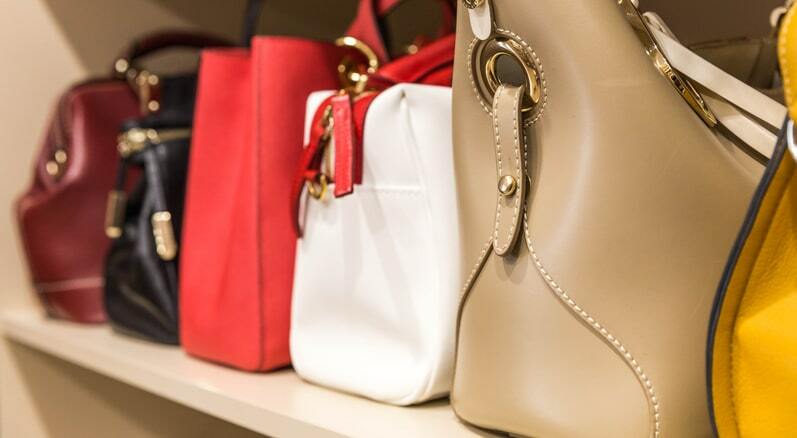 Our experts are here to help you find the perfect shoe storage solution, along with other accessories like ties and jewelry, for your custom closet. Contact your local More Space Place today for a free, in-home design consultation!